The Avonmore Way is an important and strategic route in Wicklow as it provides a pedestrian link with train and bus services in Rathdrum to Laragh. The development of the trail has been undertaken by Wicklow Uplands Council in partnership with Coillte, NPWS, County Wicklow Partnership, private landowner Lucy Morgan, Rathdrum Parish and St Lawrence O’Toole Diocesan Trust, the Parish Committee for Clara Vale Church, Laragh Development Association and Rathdrum Tidy Towns Association. The Avonmore Way is a 12km trail which follows a mixture of minor roads, forest roads and tracks. 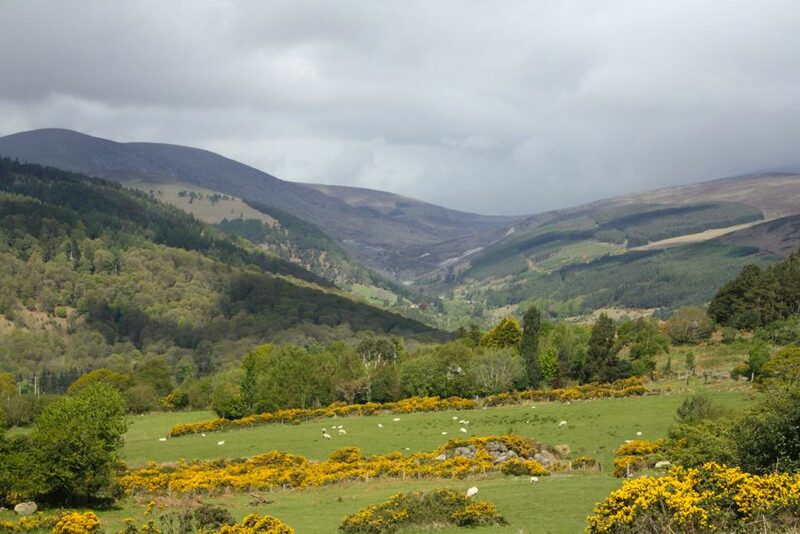 It provides stunning views of the Wicklow Mountains as it skirts around Trooperstown Hill before winding its way through the beautiful Clara Vale Nature Reserve alongside the Avonmore River. The trail is durable underfoot and suitable for all fitness levels. There is trail head signage at the beginning of the walk and the route is marked with yellow arrows on a black background along the way. The walk starts from the Laragh side at Trooperstown Forest Carpark and from the Rathdrum side at Stump of the Castle Forest Entrance. Due to Wicklow’s proximity to Dublin, tourism in the county is dominated by day visitors. The development of this trail will promote independent visitors to the area who can stay longer and boost the local economy. This important link will also enable hikers to join the network of trails in the Wicklow uplands including, the Wicklow Way and the St Kevin’s Way. And of course visitors in the Laragh area will have the opportunity to walk to Rathdrum and Avondale House. Therefore, this is a very important link for Wicklow tourism and the local communities. Wicklow Uplands Council plans to develop further links from ends of the trail with the local towns. The long term vision is to realise a long distance off road route that will link Kilmacanogue to Woodenbridge.